A container fell off a truck and landed on a tricycle popularly known as Keke Napep at Agege community, Lagos Mainland, earlier today, Monday, June 4, 2018. It was gathered that the incident occurred inward the popular Agege Stadium, Pen Cinema with the Keke Napep completely shattered in the process. 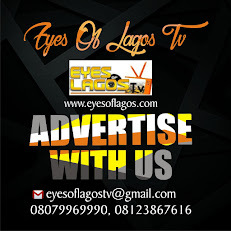 Sources told Eyes Of Lagos that no live was lost in the incident as the Keke was parked by the roadside with the driver calling on passengers to board. It was learnt that a distress call was immediately made to the officials of the Lagos State Emergency Management Agency (LASEMA) who mobilized rescue officers to the scene to tend to the situation. The container was subsequently removed from the scene to aid free flow of traffic in the axis. Meanwhile, the situation has led to mixed reactions from social media users who took to various platforms to air their thoughts on the development.